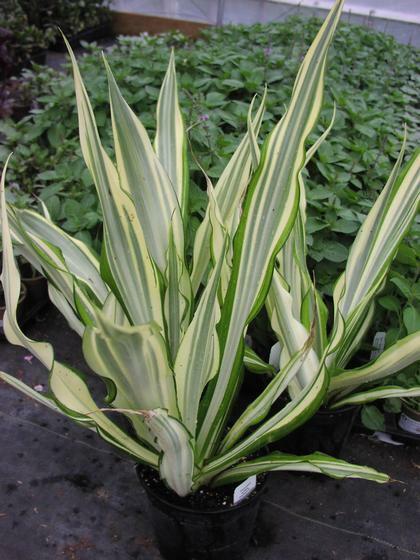 This trunkless succulent, that is a close relative of the Agave family (without spines), showcases long wavy sword-like leaves in a rich green with a cream colored band down the center of the leaves. May bloom. A large pot that we had here for many years was used at the Minnesota State Fair in a garden bed where it garnered lots of attention of the "What is that great plant?' variety. Likes protected part sun and infrequent watering. The feel of an Agave without the pain!